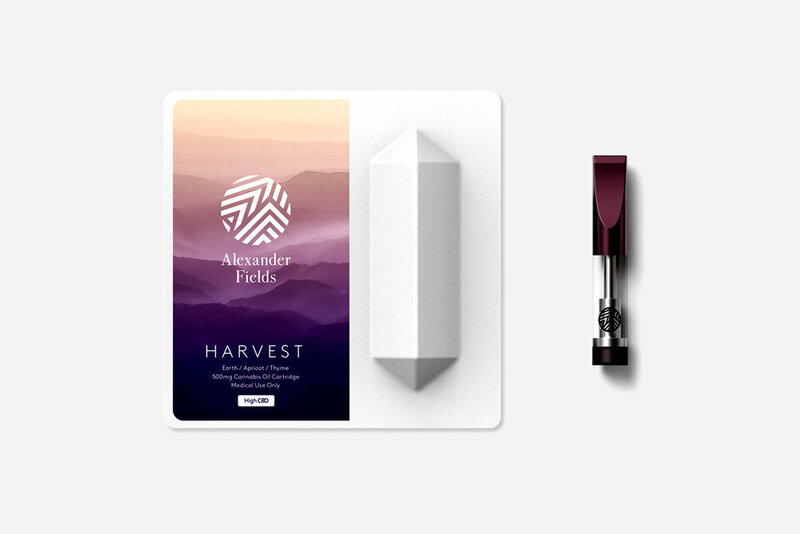 Alexander Fields is a new brand entering the California cannabis industry as a provider of a sophisticated vape cartridge system. Their line of cannabis vape cartridges deliver a unique blend of natural flavors of California, with high-CBD and high-THC blends in three distinct flavors. 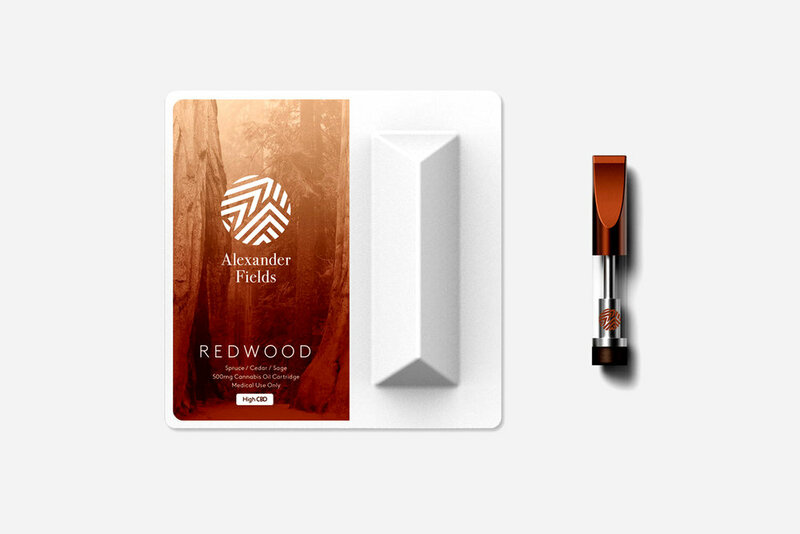 As a brand, Alexander Fields proudly marches against the stigmatization of cannabis users. The vision is to accelerate normalization through the delivery of safe and pure products. We were tasked to design their branding and packaging identity, alongside appropriate flavor profiles, thus rooting the brand on the iconic California locations evocative of relaxation, and connection to nature. Crystal California vibes of the fully recyclable packaging are intentional. The forms are a nod to the state’s liberal history, as well as its connotations with the cannabis industry.